Lock in a great price for Methoni Beach Hotel – rated 8.8 by recent guests! The room was comfortable even not luxury, but the big 10 is for the perfect position - the hotel is in fact on the beach, just a few steps from the old walls of the citadel. And the view from the balcony over the sea and Methoni fortress was just PERFECT. Large parking place behind the hotel, very easy to reach. Beautiful hotel right on the beach. 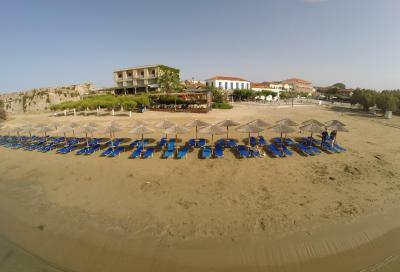 We love the beach in Methoni: smooth sand and small warm water :). Good breakfast and a very good coffee :) The room was clean and the sea view very beautiful. Restaurants are near the hotel. Free parking. 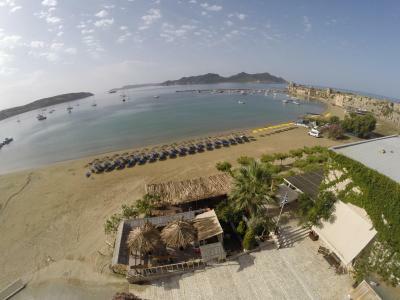 wonderful beach hotel ,perfect view as a combination of the bay and the old castle,beautiful and well maintained beach,breakfast was delicious on the lovley terrace,all staff are very involved and make you feel at home and welcome,they are really friendly. A wonderful stay. Thanks. 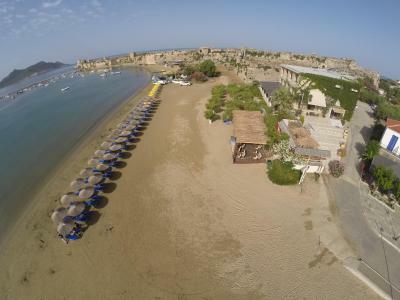 Hotel is located right on the beach next to Methoni Castle. Breakfast spread was generous and very good. Quiet rooms. 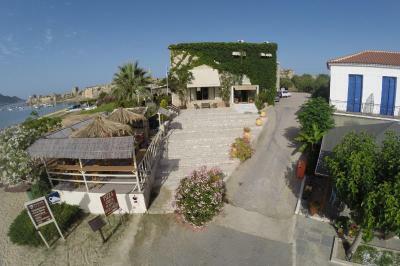 Excellent location between beach and Methoni castle. The staff went beyond what was necessary for me to have a good stay. I received a lot of personal attention especially from Michael who was a very thoughtful and generous host. I shall return. It was great to return to this wonderful family run hotel and experience real traditional Greek Hospitality. 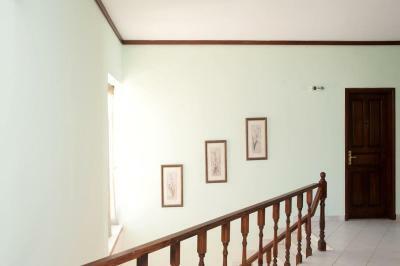 The charming staff made us feel so welcome and the stunning location speaks for itself. 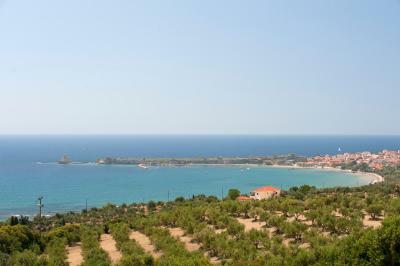 Excellent location with lovely view of the Methoni castle. 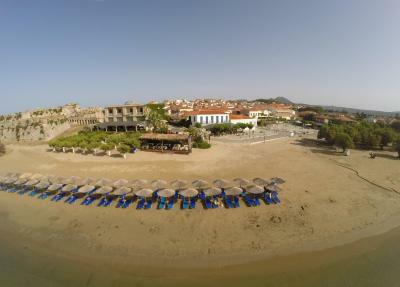 The beach is right in front of the hotel and the dining room looks out over the beach. It is a good beach for those with young families, as the water is shallow and easily accessible also for less mobile seniors. If you have a car to move around it is also a good choice for visiting many of the historical sights that Messinia has to offer. 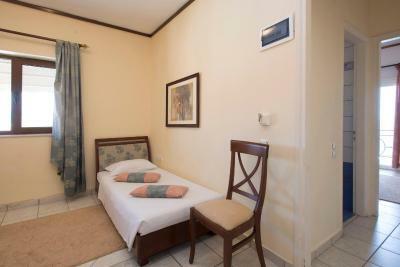 The rooms were clean with basic facilities, WiFi, TV, fridge. It is very peaceful and there was no noise from either the beach or restaurant at anytime of the day or evening. Breakfast was good with choices for all tastes. A family run business with friendly staff, but fairly relaxed, don’t be in a rush! 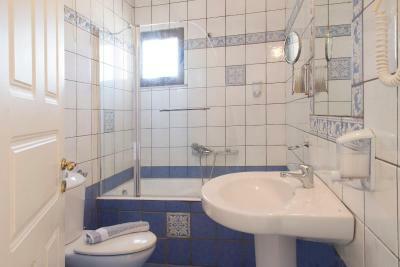 Beautifully renovated , large room with amazing view on the beach and the castle . 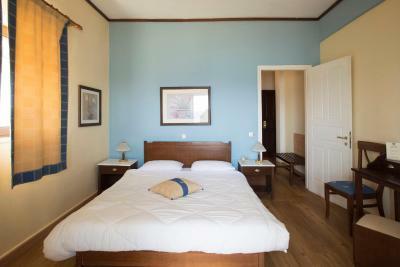 You can hear the waves while sleeping !Moreover pet friendly ! 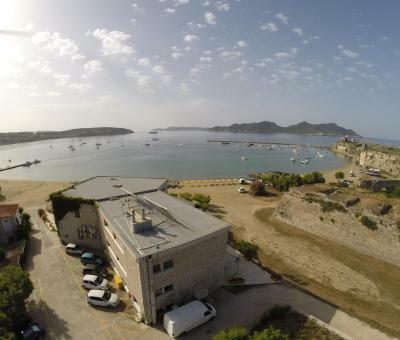 The name says it, perfect location right on a beautiful beach, right next to a very impressive Venetian castle, very close to a vibrant village square with lots of restaurants. 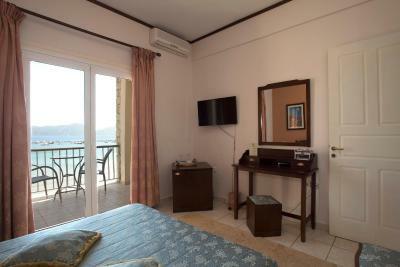 Nice room with a balcony and a nice view, great breakfast on the terrace with a wonderful view. A lovely place with very friendly staff! 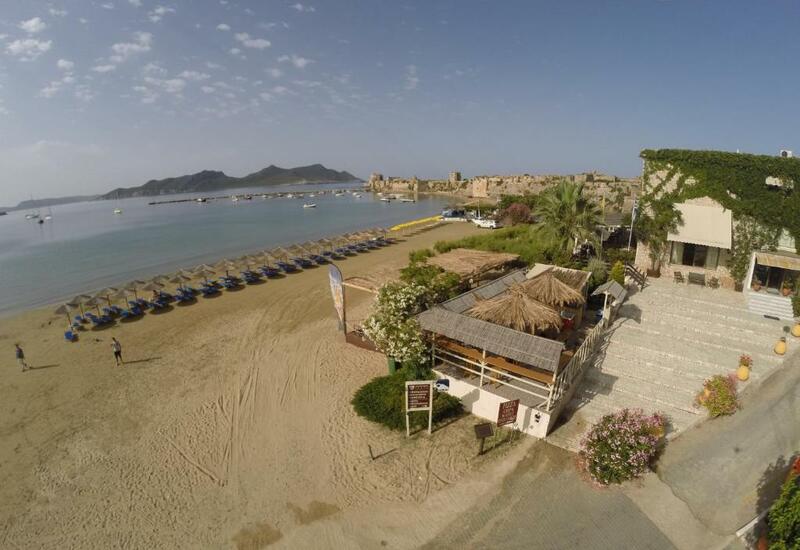 Right next to the historic Methoni Castle, just a few feet from the sea, this stone-built hotel features a beach bar and a restaurant. 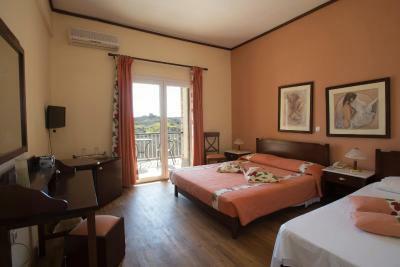 It offers free WiFi throughout and air-conditioned rooms with views over the sea, the island of Sapientza and the castle. 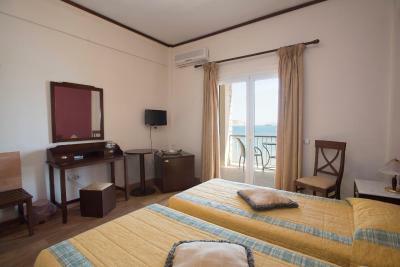 Opening to a furnished balcony, all rooms at Methoni Beach includes a fridge and a TV. 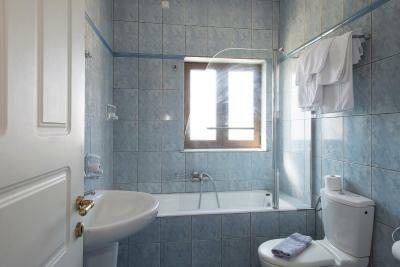 Each comes with a private bathroom with toiletries and a hairdryer. A safe is provided. 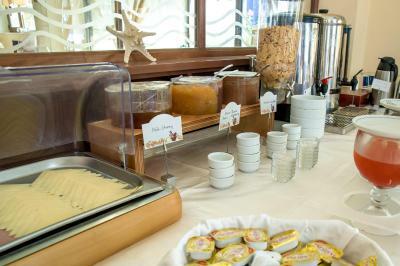 A breakfast buffet is served in the dining area. 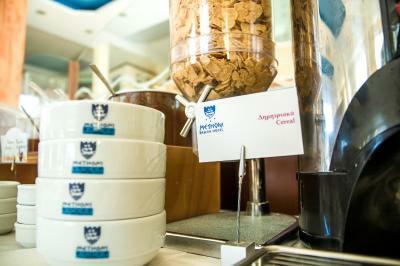 The restaurant prepares traditional Greek and Mediterranean cuisine. 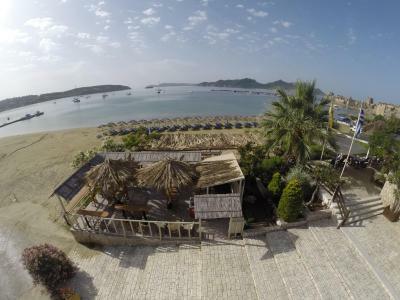 Guests of the Methoni Beach Hotel can enjoy drinks and coffee at the beach bar. Restaurants, fish taverns and cafés are within a 3-minute walk. The scenic town of Pylos with the famous fortress is 6.8 mi away. Koroni Town is at 18 mi. Free, private parking is provided on site. 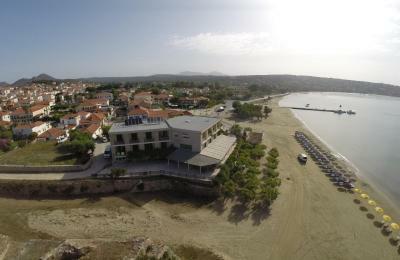 When would you like to stay at Methoni Beach Hotel? 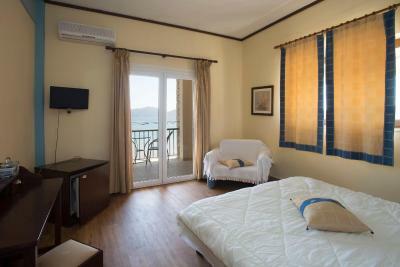 Right next to the historic Methoni Castle, a few yards from the sea, this air-conditioned room features a furnished balcony overlooking the sea and the island of Sapientza or the castle. A fridge and TV are included. Offers toiletries and a hairdryer. 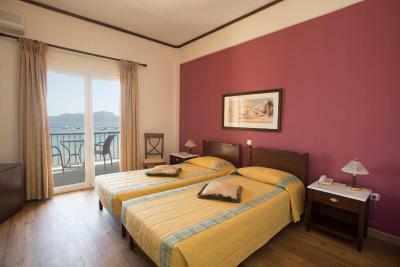 This twin room has a balcony, air conditioning and tumble dryer . 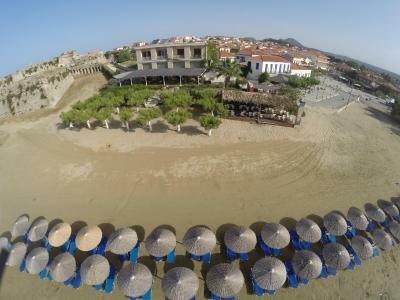 House Rules Methoni Beach Hotel takes special requests – add in the next step! Methoni Beach Hotel accepts these cards and reserves the right to temporarily hold an amount prior to arrival. Guests who are traveling with children are kindly requested to contact Methoni Beach Hotel in advance. 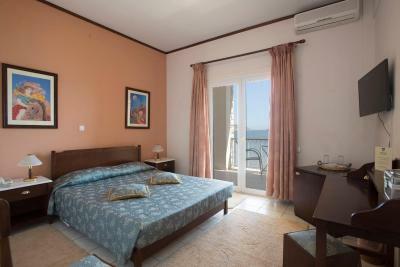 In a wonderful location just steps away from a lovely beach and with glorious views of an atmospheric Venetian Castle. Friendly laid back staff. 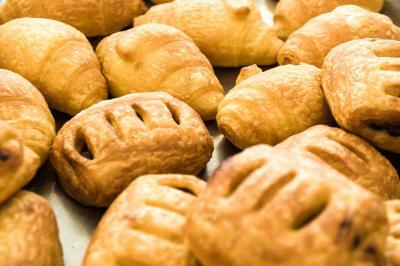 The family also have a traditional Taverna nearby which serves delicious authentic Greek food. Breakfast; fresh orange juice would have been nice. Friendly, laid-back staff. Amazing view. The staff were frankly rather surly on arrival - we were just given the key, no information where to find the room and certainly no help in taking our bags up (there's no lift). We weren't looking for a rapturous welcome, but a smile would have helped! Breakfast is apparently available from 8 - 10.30am, we mostly got there for about 8.30-9am by which time everything was stone cold, not worth the extra cost. The bedroom was fine, but we both woke with back ache, beds are low, soft and lumpy. 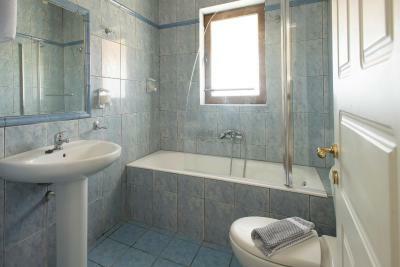 The location of the property is just fantastic, the photos don't do it justice! 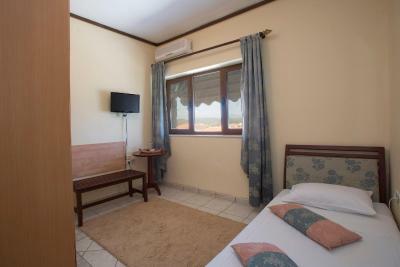 The hotel is right on a lovely beach, clear water and a superb safe bay to swim in looking up at the fort, also in a pretty little square of tavernas, with one right on the beach - you can step out of the sea up to a table. We were not at all impressed by the staff on arrival (see below), but strangely as we left, they could not have been nicer....very kind, gracious and lovely - this was odd as they didn't have the excuse that so many offered, that it was 'end of season' as this hotel is open all year round.